Kinvert did another Cozmo project. This time we coded Cozmo so his cube lights shine rainbow colors. We did this in Python and you can do it too. We do this using Python and the Anki Cozmo SDK. Cozmo loves to play with his cubes and one of the ways to make this more fun is by changing the colors of his cube lights. This is pretty easy to do and you can find tutorials out there showing you how. Anki also has some examples. 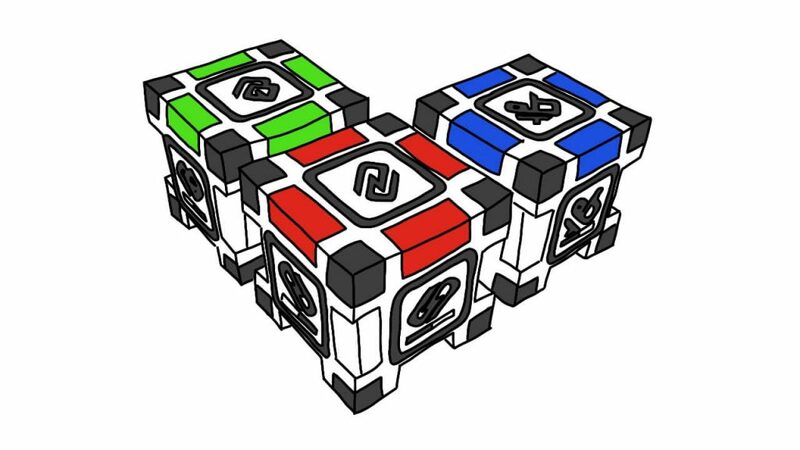 However generally you can only show a few different colors with the cubes. Kinvert found a fun way to not only show any color, but also to cycle smoothly through the colors of the rainbow. We made Cozmo’s cube lights rainbow color with RGB. Here are the Python commands we used to make Cozmo’s cube lights show RGB rainbow colors. Here is the code. We’ll be making a more in depth explanation of how the code works and how you can customize it in our online course. If you wanted the colors to change more smooth and slow, what would you change in the code? How would you get the colors to start at red, then go to purple then blue – instead of starting red and going to orange then yellow? If you wanted to have each cube 120 degrees out of phase, how would you do that? See for yourself, we have a lot of other articles that teach coding and give fun activities to do with Cozmo. We have more articles that use the Anki Cozmo SDK, as well as an article about Cozmo Vs Vector and the Anki Vector SDK. Kinvert has made many Cozmo Games, Vector Games, Cozmo Projects, and Anki Vector Examples. If you don’t feel ready to learn Python, check out What is Robotics, Block Coding, and Age to Teach Kids Python. We also have an amazing mailing list. If you want to stay up to date with Cozmo and / or Vector, this is the resource for you. Remember to find that confirmation email and click that button. You can unsubscribe at any time.